Bacopa Monnieri has been used for many years in Ayurvedic medicine as a remedy for many ails. As with all potent medicines from nature, there are no shortages of advantages to using this powerful herb. However, along with all of the Bacopa Monnieri benefits one can expect to encounter while using this ancient medicine, there are some bacopa monnieri side effects that you should be aware of. For people who already have a heart that is beating a bit slower than normal, taking bacopa, or brahmi, is not advisable. This is because the creeping plant may cause bradycardia, and therefore in individuals with an already sluggish heartbeat, this reduction may be harmful. 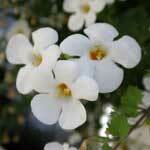 Another of the important Bacopa Monnieri side effects you should be aware of is its ability to increase secretion. This can be bad news for mucous regions of the body such as parts of the G.I. tract and the lungs. In fact, one of the most dangerous Bacopa Monnieri side effects may be its ability to increase the secretions of fluid in the lungs, which can create or worsen already existing conditions of the breathing process. Brahmi powder may be just one derived product that can cause gastrointestinal ails, such as ulcers, due to the additional release of fluids in the intestines and stomach. Aside from the typical Bacopa Monnieri side effects that normal users might expect from taking this herb, it’s not advisable that pregnant or breast feeding women use this product. This is because the safe Bacopa Monnieri dosage is still unknown, and side effects in pregnant and breast feeding women have not yet been studied. Whether pregnant or nursing or not, Bacopa Monnieri extract is only recommended for short term use, as the long term effects of use of this product have not been fully studied. If you are considering Brahmi, speak to your health care provider. He or she is the most capable of telling you if it is safe for you to take this supplement, and whether or not you take medications or have health conditions that would make taking this ancient medicine unsafe.